Since 2003, HKWHC started to implement the Participatory Occupational Health and Safety Improvement (POHSI) Service in Mainland China, to assist supplying factories and enterprises to improve their working environment and occupational health and safety conditions. 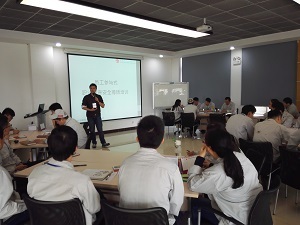 HKWHC also applies “Participatory Trainers” training to factories and enterprises in mainland China for consistent development of the idea and operation of POHSI. 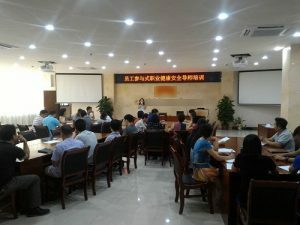 HKWHC takes the initiatives to connect the inter-region cooperation network, through sharing experience of POHSI trainings and explore effective work injury prevention measures so as to boost the development of Occupational Health and Safety prevention and education in mainland China. If you are interested to know more about POHSI, please feel free to contact us.